Are you concerned about the increasing criminal activities in your area? Don’t worry. Now there is an easy solution which can ensure the safety of your family members and valuables inside your home. All you have to do is install home security cameras. These will be able to monitor the home, the people getting inside or coming out, or any other suspicious activity happening outside your home. Moreover, since these can be connected to your phone, laptop, or tablet, you can always be updated about the situation no matter where you are. This is essential to keep out the unwanted intruders from your home. We, at Dynamic Security Centers, bring you state of the art, highly advanced, and the latest range of home security solutions such as security systems, access control, CCTV, and fire alarms. So, if you live in and around Alice TX, Aransas, Harlingen, Kingsville, McAllen, or Port Aransas, and are looking for the modern security cameras to protect your home, then you can rely on us. Here, we have put together 2 questions you need to ask a company before buying their security cameras. Take a look. Do you have the latest surveillance features in your camera? Nowadays, technology is evolving every passing day. So, you need to make sure that you are updated with it too. 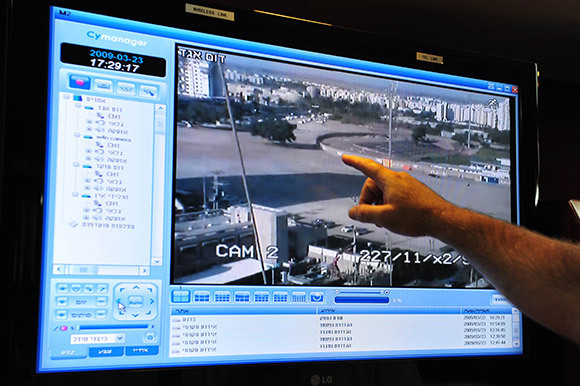 In order to combat the notorious criminals, you need highly advanced features in the security cameras. So, before buying anything, you should ask this question. Do you provide a free price quote facility? Before making a purchase, you must also ensure whether the cameras are feasible for your pockets. So, you have to know whether you can get to know about the price offered bythe company for the cameras. This will help you to decide better. So, after asking such questions, if you think we can be the right choice for you, call us at 800-374-2527 or 361-852-5276now.